Not long after gaining recognition of statehood by the United Nations, the Palestinians are now condemning Israel and saying that the nation must be held accountable for what they deem to be war crimes for trying to expand the settlement into East Jerusalem and the West Bank. The Palestinians sent a letter to the UN Security Council and UN Secretary General accusing Israel of violating international law. The complaint came after Israel announced plans to expand the land for an additional 3,000 homes for settlers; these are the same areas that Palestinians planned for a future state. 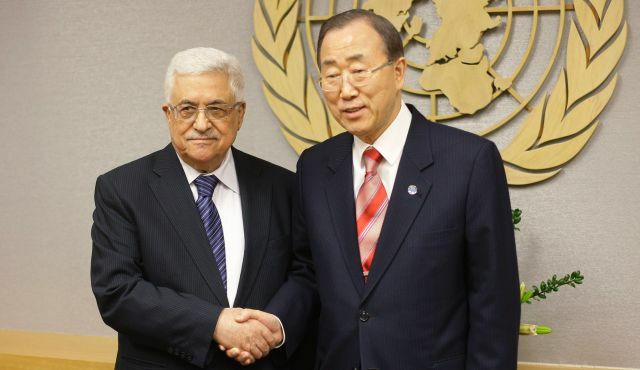 The news came just after the UN General Assembly raised the status of the Palestinians from “observer entity” to “non-member state.” With the upgrade in status, the Palestinians now have open access to the International Criminal Court, which oversees cases regarding violations of human rights, war crimes and genocide. The Palestinians are now threatening to use the court to seek legal action against Israel should it proceed with its plans to build the settlements. Before the UN vote, a few Western nations made an unsuccessful attempt to get the Palestinians to agree to a pledge that they would not use the court against Israel. The Palestinians, however, are not without support. Both Britain and France have threatened to recall their ambassadors and have also arranged for plans to meet with Israeli officials to persuade them to withdraw their settlement plans. William Hague, the British Foreign Secretary, has said that while economic sanctions are unlikely, it will consider all options on the table if Israel does not rescind its decision. Additional nations including Spain, Sweden, Denmark, Ireland and Australia have also echoed the same sentiment in getting Israel to halt any settlement expansion plans. The West Bank and East Jerusalem are currently home to about 2.5 million Palestinians as well as half a million Israelis.